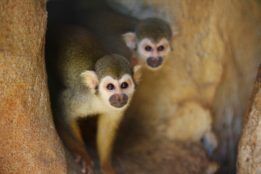 Squirrel monkeys are small primates that live in the canopy layer of tropical rainforests in South America. 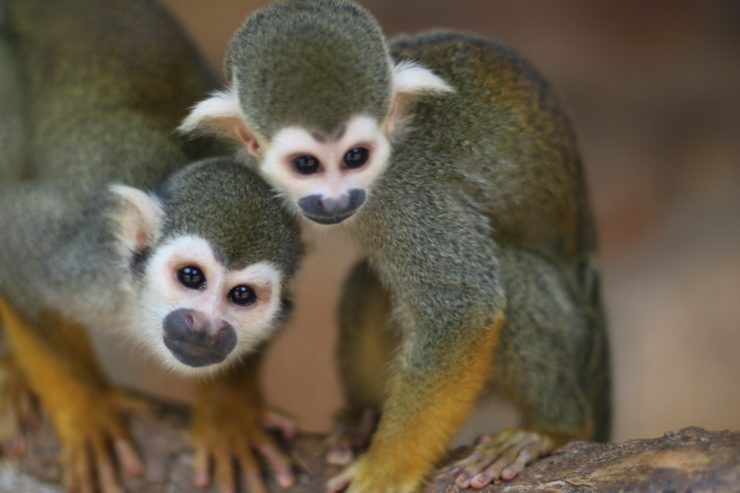 Measuring as little as 10 inches from the top of the head to the base of their tail, these tiny primates are one of the smallest monkey species. 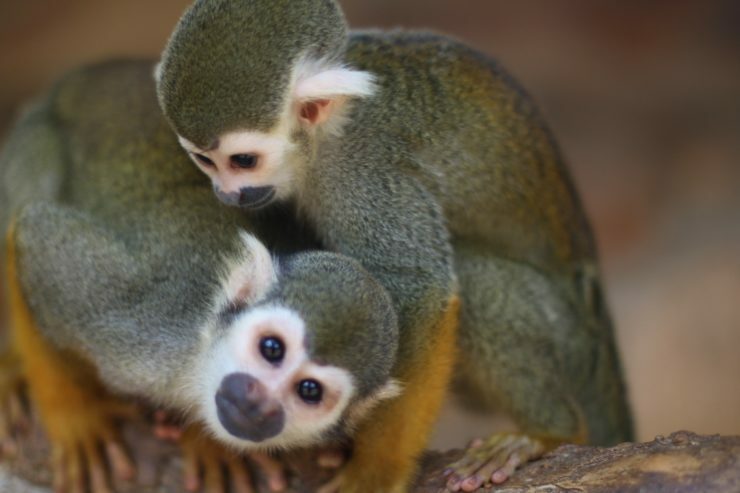 Unlike many other small primates, the squirrel monkey’s tail is not prehensile, which means that it cannot be used to grip onto branches. Instead, their long tail is used to help balance when climbing about on the high branches. These primates are incredibly sociable animals and live in large troops that are usually 40 to 50 animals, though some contain up to 500 individuals. The diet of a squirrel monkey primarily consists of fruits and insects. 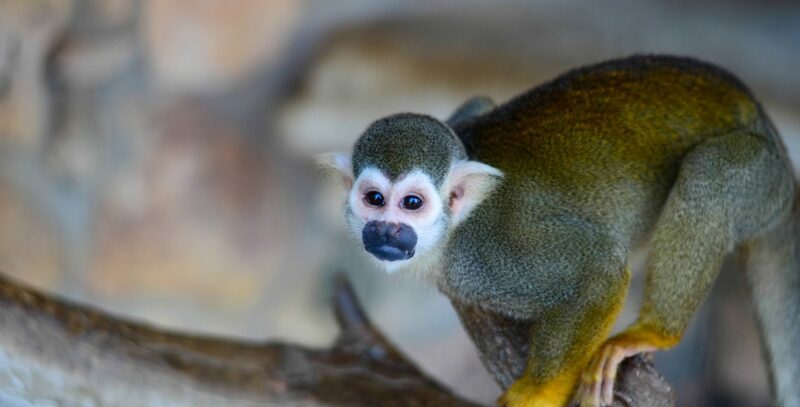 The hands and fingers of the squirrel monkey are designed for holding onto food while either peeling it or eating it— which it does using its small, sharp teeth. Squirrel monkeys have incredibly good eyesight and color vision which means that they are able to spot fruit amongst the dense vegetation with ease. 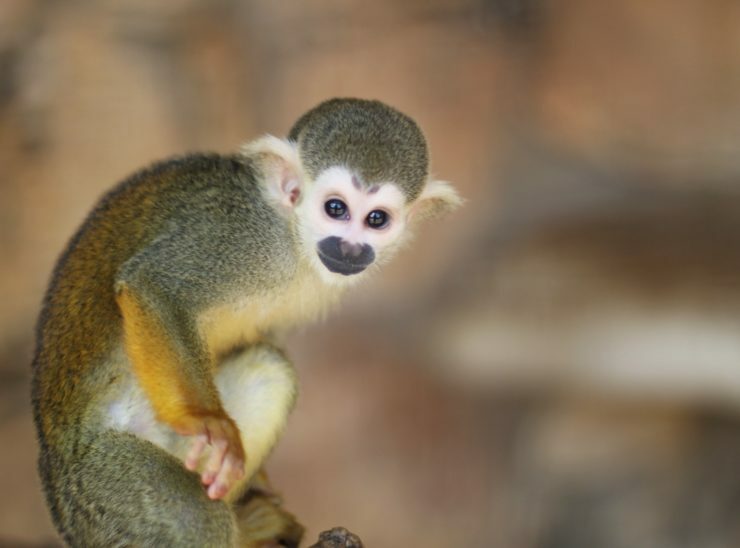 The squirrel monkey is said to be one of the most intelligent species of primate and has the largest brain in comparison to body size.